made with high purity gypsum core, excellent and high strength environmental protection tissue paper and organic silicone additive. 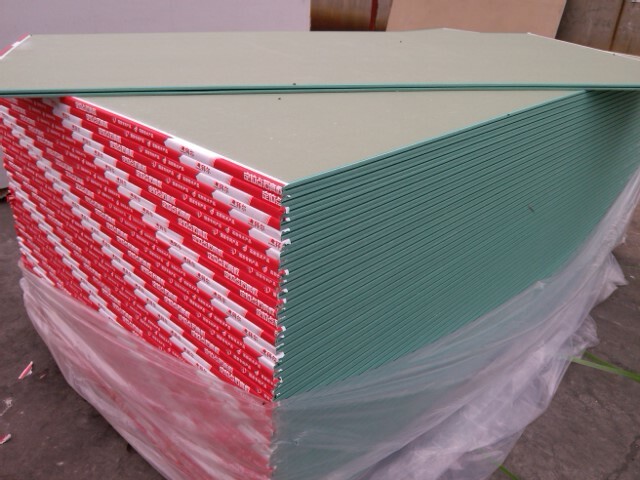 Moreover, it will greatly improve and enhance water proof property of plasterboard by using green protective tissue under special treatment with organic water proof materials.So, it is applicable to places with higher indoor humidity or temporary outdoor places. Jason water proof paper-backed plasterboard completely conforms to China GB/T9775 with water absorption rate less than 10%. green environmental protection, convenient construction, space saving, comfortable living.